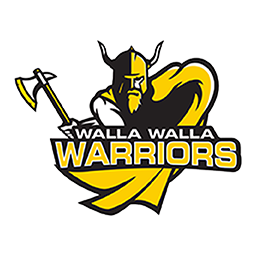 BURLINGTON, Wash. — Walla Walla Community College’s Conor Lees carded a 3-over-par 75 to sit in a five-way tie for ninth place after the first round of the Skagit Valley Cardinal Classic at Avalon Golf Links here on Sunday. The first round was played under partly rainy skies and cool temperatures, Warriors coach Mike Rostollan reported. North Idaho’s Sean Langham held a two-stroke lead over a group of six tied for second headed into today’s final round. Langham came in at 1-under 71. The Warriors’ Marcus Egusquiza was tied for 22nd at 77, with teammate Austin Khile tied for 41st at 83, and Wyatt Utt in 50th at 89. North Idaho led the team standings with a 5-over 293, followed by Spokane at 302, Skagit Valley and Southwestern Oregon tied for third at 304, Green River in fifth at 307, Bellevue next at 308, Grays Harbor seventh at 312, Olympic next at 319, WWCC in ninth at 324, and Columbia Basin at 331. On the women’s side, Brooke Cramer led the Warriors as she was in a tie for 17th at 87. There was a four-way tie atop the leaderboard after the first round at 6-over 78. Also for Walla Walla, Brooke Orr was tied for 29th at 93, Camryn Cox was tied for 36th at 96, Ally Chapman sat in a tie for 39th at 102, and Cynthia DeVille was in 45th at 119. In the women’s team standings, Spokane led the way with a 22-over 238, followed by Skagit Valley at 241, Columbia Basin third at 246, North Idaho 247, Bellevue 262, Southwestern Oregon 264, WWCC 276 and Highline at 285. The second round was set for a shotgun start this morning.